‘Pure’ Thelema vs ‘Crowleyan’ Thelema? This topic contains 115 replies, has 23 voices, and was last updated by Michael Staley 2 months, 1 week ago. 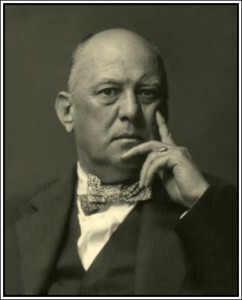 Home › Forums › Thelema › Thelema › ‘Pure’ Thelema vs ‘Crowleyan’ Thelema? .Prelude: A III* Master Magician has the capacity to initiate others up to his or her level. In OTO, a III* does not have the authority to do so, unless the Grand Master grants him or her a written note granting such authority. Formlly, it’s called a “Charter.” Legally, a simple “note” from AC to McM saw OTO go to McM. 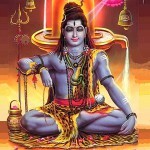 (The Grand Master has the ultimate authority – within his or her jurisdiction). So here I am, Mortis, a Master Magician among a bunch of II* Magicians and I* Men of Earth, at Grand Solar Lodge in Los Angeles. It’s late 1969, and Solar Ranch has been busted. Eleven people got arrested and the five ringleaders have jumped the State Line, so the FBI is coming around … lurking, searching. Alas! The sancity of the Order has been broken. All is in disorder. The most secret of secrets, and the lineage of antiquity, is about to be taken away by the Establishment. I might be the next one to get arrested. Screw it, where are those secret papers and initiation rituals? I’ll save them, and the Order too. I’ll grab the girl and run away to San Diego. (They were later married … then later divorced). So here I am, Mortis, in San Diego. I’ll open a “Magick Boostore,” just like “The eye of Horus” bookstore that Solar Lodge had. I will attract new candidates. The lineage will live on. (1) Candidates and members pay fees and dues. (3) Allow members to work on said land, or in the bookstore. Better yet, make it a requirement. (4) After people get the III*, and there’s no more degreees to offer, and they leave … cultivate new candidates right out of the busy bookstore. What’s this? You’re asking me about spiritual matters, about the Holy guardian Angel? Sorry, I don’t get into any of that. 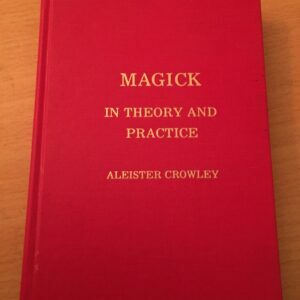 You can read about it in those Crowley books we have in the Magick Bookstore. Thus ends your tour of the backside of Mortis the Mortician, who became a well-known guru in Sunny San Diego. P.S. San Diego is really nice. There is this thing called the Mediterranean Climate. It occurs in only 4 places on the globe: The French Riviera, San Diego, Perth Aus., and some very nice weather in a dreadful political climate somewhere on the west coast of Africa. Mortis & I enjoyed our time there. Mortis went to heaven, and I came here to New mexico. JJB: “Although it’s discussing the A.’. A.’. here, I made this same point myself about the ‘beautiful diversity’ and value of having several OTOs (not one) in my essay “The OTO, its relevance today” written in 1994 (though the bulk of which still remains relevant today — as the full final Chapter (12) to the pending authorized revised & updated The Secret Rituals of the O.T.O. it is in the Blogs of Lashtal; I cannot link to it though (source: https://www.lashtal.com/forums/topic/pure-thelema-vs-crowleyan-thelema/page/7/#post-111073))”. 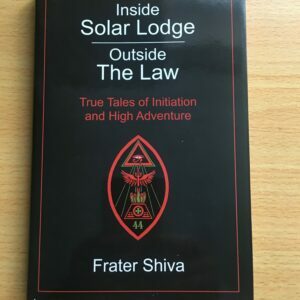 According to AC’s Thelemic doctrine based on his The Book of the Law from 1904, one Ra-Hoor-Khuit or Ra-Hoor-Khut is the speaker in the Third Chapter of this book. And AC does within this book invoke the light of this Ra-Hoor-Khuit or Ra-Hoor-Khut [III:37], so that the light of the latter “… is in me; & its red flame is as a sword in my hand to push thy order [III:38]. 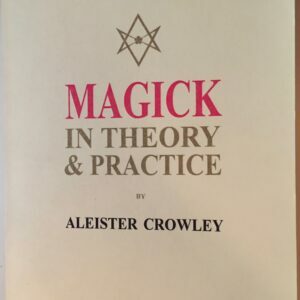 “ In 1907, 3 years after 1904, AC founded an esoteric order, the A∴A∴, through which he propagated the Thelema mentioned within his The Book of the Law from 1904. One value of having several A∴A∴ orders derived from the one founded by AC in 1907, irrespective of if the A∴A∴ order founded by AC in 1907 has its foundation or roots in his Liber AL vel Legis or Liber Legis or The Book of the Law, is that this increases the chance of one of the said orders, representing the said Thelema i a way, that matches the particular prerequisites of one particular candidate. 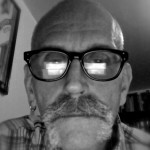 “it is in the Blogs of Lashtal; I cannot link to it though (source: https://www.lashtal.com/forums/topic/pure-thelema-vs-crowleyan-thelema/page/7/#post-111073))”. And there was me thinking you were being very helpful and considerate linking to my blog for me, wrwb, rather than to my post which is just a tiddly little distance for anyone to have to refer back on the previous page. Did I miss it, or were you actually writing anything new at all in your latest on diversity ? And also Land of Blast & Radiation from A-bomb testings, from Alamogordo onwards ! One test (it worked). After that, they took their toys to Las Vegas for more tests. And then there was the annihilation of certain islands in the Pacific ocean. Something about “Hydrogen.” Bigger and better war and vengeance. One physical plane initiation into the atomic age (which is the natural outcome of circa 1904, which brought us radio, radiation, cars, electricity and increasing stress levels). Very luttle radiation remains at Trinity. There are Geiger counters operating on Visitor’s Day. We went to the open house last April 7 (’18 e.v.) … in order to determine if that 1945 blast really knocked a hole in the Earth’s protective, etheric web. The outcome (results) were rather amazing (captured on digital film). Did you catch a copy of The Master Codex’s Appendix entitled “Trinity?” (Photos included). If not, you (or anyone else) send an email to me at Notarajah@gmail.com saying “SEND TRINITY,” and I send you some cutting-edge, edge-of-your-seat, outer-limits info with pictures of me, my wife, fatman, and a “hole” in the sky that opened an entire new series of adventures. If you don’t like TRINITY, or are skeptical or become morose, you get TRIPLE (Trinity) your money back. 000. Ain. Now, as to the OP. Therion was the Word of the Aeon, which was “Thelema” (spelled and spoken in Greek please). So Therion and “Pure Thelema” are the same thing. However, the demon Crowley wrote that “The Magus who works through me is so far above my normal consciousness …” (or words to that effect; source unremembered or forgotten, but he did use those basic words). I find this to be very interesting. AC describing a difference between The Master Therion and the demon Crowley. It suggests that we live on more than one plane, and just because we have some spiritual incident known as 9=2, we’re still just animal vehicles moving around on a daily basis … but always eager to hear from our “bigger” version (who resides in some “other” dimension). My solution to the dilemma is to consult Liber AL, then peruse any A.’.A.’. Publications in Class E. It’s hard to find a definition of “Class E,” but it obviously means “Short and Simple [S.’.S.’.] 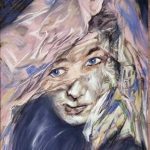 Epistles from the Magus unto Humanity in General.” Class E Publications are essentially an explanation of the Law in terms suitable for a child’s mind. Other explanations of the Law by, say, Fraters O.M. or Perdurabo, or Aleister the man, are open for suspicious study and possible debate … thus this thread. Further Note: The suggestion that Blue Sky Rancho is in possession of rare Crowley material is not without potential truth. Frater Mortis snatched the OTO 1* – III* ritual docs, plus a copy of the IX* Emblems. That’s all I heard about from those who were on-site at Solar Lodge at the time when he absconded. It is entirely possible that Frater Mortis took along a book or two. We did have a Library that was open to members, and many basic Equinoxes and texts were available. However, the stuff that could be considered “rare Crowley material” was in my possession, and I personally took ALL of that stuff out to Solar Ranch and personally locked it in a steel locker … which shortly after that was incinerated in the Solar Lodge firestorm. But, yes, Mortis and Descendants could surely have something more mundane, but still potentially valuable, material in their possession. The book says, “Do what thou wilt shall be the whole of the Law.” What else do you want? Thank you for your kind and generous offer which I’ll respond to in due course. I didn’t realise there was just the one test in NM – I must have been mixing them up with the several more that took place in Utah & Nevada and thought that White Sands had more to do. Though I gathered some of the locals were still a bit upset they were getting cancers etc further down the line because they hadn’t been warned about the effects and the ‘fallout’ from Trinity in advance? In terms of effortless connectivity with the Word (e.g. “I am Thelema”) the implication is, even more than with 9=2, that the complete identification and transcendence of all non-unity conditions & considerations (where change=stability, selflessness=self etc) partake of the nature of 10=1, and in terms of the frictionless going, the EHEIEH formula & absorption into the infinities it would bear out “Crowley”‘s utterance that “as a god goes I go”. It’s an interesting line of thought. But in the terms outlined, the title of the thread is redundant – as there would be no ‘versus’ but an equals sign (‘Pure’ = ‘Crowleyan’). I’m curious – what is the fine distinction made between something which is ‘unremembered’ and something which is ‘forgotten’; both referring to the transitoriness of memory? Yes, I remember reading (the meaning of) those basic words as well, but where escapes me at present. Might be a footnote! Are you using the term ‘we’ here to refer to the potential inside every-body, rather than something more limited and of less universal application (for example: the fact that we are always eager to hear from “a bigger version” would still be individual & specific to the person involved as an extension of his/her unique being, powers & capabilities, rather than some shared universal archetype among everyone, perhaps). So would this bigger version be the same for every man and woman regardless of their own degree of philosophical depth and actual magickal advancement – an advancement which would really equate just with how effectively the ‘magician’ has managed to dissolve the veils separating the planes and the parts of oneself who occupy them? Hmm… Obviously not some sort of a fire-proof steel locker, then. just plopping that one in for measure . JB: Hmm… Obviously not some sort of a fire-proof steel locker, then. 6 feet tall, 2 feet deep, 1.5 feet wide. One layer of steel for all dimensions. With a metal shelf built-in up top. No fireproofing. Just like the gym or book locker they assigned to you in high school. Do they call it “high school” in Jolly Olde England? But taller than most student lockers. Included with the written material were coffee cans, filled with silver dollars. Silver melts somewhere around 1800* F. Paper enters a state of spontaneous combustion (or something like that) at Fahrenheit 451 (You saw the movie? Read the book?). I met Ray Bradbury. He came to give a lecture at USC. Your assignment, should you decide to accept it, is to do the math and then explain what happened to anything made of paper. Do they call it “high school” in Jolly Olde England? There are lots of schools called ‘high’ in the old country – I went to one myself, or one which became a ‘high’ after formerly being ‘grammar’ as part of the Great Comprehensive/ ROSLA (Raising of the School Leaving Age [from 15 to 16]) education revolution back in the early ’70s, originally Labour (socialist) party legislation which the succeeding Tories (like American Republicans) were obliged to have to complete. But even some public (to Americans, private fee-paying) schools call themselves ‘high’ as well (e.g., Croydon High). So you say tomato & we say potatoes. Fahrenheit 451 (You saw the movie? Read the book?). I met Ray Bradbury. He came to give a lecture at USC. Did he get to autograph your copy? Yes, I’ve read the book and seen the excellent Truffaut film adaptation – the fire chief in it Anton Diffring always seemed to get typecast as the ‘reasonable’ Speer-like Nazi in movies who’d like to declaim, whilst swilling round a fine cognac in a glass listening to the old Ludwig Van, “not all of us are barbarians, you know”. I also liked the novel re-interpretation of the profession “fireman” as somebody not who puts fires out as liked to start them up, with flamethrowers incinerating piles of banned books – that being every single book, not just a select few. However on the anti- I didn’t find one of the main themes of “The Book People”, once past its initially dazzlingly attractive premise, stood up to any sustained examination. (Maybe somebody else who likes it might like to put it in the “Favorite Films” thread – not me though, as I don’t seem to be very adept with youtube linkages etc). It destructed itself in a few seconds into a fine ash !? Fortunately Grant & Symonds tried to make copies of everything before they sent it all off to Germer as ‘insurance’. You don’t seem to have wanted to address any of the other queries I had, unless you’re still ruminating over them. You’re not obliged to of course not being the OP, but none of them there were frivolous especially re. all the effects of Trinity. Or if anyone else feels like jumping in, go ahead, this is a forum after all. We might even find our way back to topic… (perhaps someone can explain it all over again? Fortunately Grant & Symonds tried to make copies of everything before they sent it all off to Germer as ‘insurance’. The copying was actually done by Kenneth Grant and Gerald Yorke; Symonds knew little about Crowley’s work and cared even less. Copying of the material willed to Germer started in 1948 and was completed in I think 1951. Not everything was copied, since there was simply not time and resources to do that. Instead, Grant and Yorke prioritised certain material which they thought of the greatest importance. Thus they didn’t copy, for instance, the correspondence between Crowley and Dion Fortune, an omission for which Grant later expressed regret. After the last tranche of the material had been shipped to Germer, Yorke continued to acquire diaries, typescripts and other related material, which Grant typed. This included material such as the 1948/1949 correspondence between Yorke and Achad and other papers of Achad; correspondence and papers relating to Jack Parsons, Marjorie Cameron and the Babalon Working; and portions of the Amalantrah Working, none of which were in Crowley’s possession when he died. Yes, it’s just as well that they made these copies.